In 2018, as the author/editor of twenty-five books, Lorna Crozier was named as the 25th recipient of the George Woodcock Lifetime Achievement Award for B.C. literature. In 2013 she had received the Lieutenant Governor's Award for Literary Excellence. [See press release below]. As well, Crozier has won both the Hubert Evans Non-Fiction B.C. Book Prize for Small Beneath the Sky: A Prairie Memoir (in 2010) as well as the Dorothy Livesay Poetry B.C. Book Prize for What the Living Won't Let Go (in 2000). She has also won two Pat Lowther Awards for best collection of poetry by a Canadian woman, a Governor General's Award for Inventing the Hawk (1992) and a Canadian Authors Association Award. In 2009 she was inducted into the Royal Society of Canada. Born in Swift Current, Saskatchewan in 1948. She had to overcome family poverty and alcoholism, as described in her collection of narratives and prose poems, Small Beneath the Sky: A Prairie Memoir. A former high school English teacher, Crozier attended the University of Saskatchewan (BA, 1969) and University of Alberta (MA, 1980). She has credited Sinclair Ross' novel As For Me And My House as the major stimulant for her courage to pursue her own writing, later acknowledging that influence with the publication of A Saving Grace: The Collected Poems of Mrs. Bentley (1996), set in Sinclair Ross' fictional town of Horizon in the 1930s. During the 1980s Crozier worked for two years in Communications for the provincical government. In 1987 she co-edited A Sudden Radiance, an anthology of poetry by Saskatchewan writers. For more than four decades Crozier has made herself widely known across the country, giving readings and getting to know other writers, and has played a significant role in the mentoring of younger writers, co-editing the successful anthology Breathing Fire (Harbour 1995) with Patrick Lane, with whom she began a relationship in 1978. She ceased using her married name Lorna Uher for publication, reclaiming her family's surname Crozier, after meeting Lane and co-publishing No Longer Two People (Turnstone, 1979) and Humans and Other Beasts (Turnstone, 1980). Crozer has been writer-in-residence at numerous colleges and universities, and online with Canada's schools in the Writers In Electronic Residence program. Crozier has also been active as a member of the League of Canadian Poets, as vice-president of the Saskatchewan Writers' Guild, and as a committee president of the Saskatchewan Artists' Colony. Her many books of poetry include The Garden Going on Without Us (1985) and Angels of Flesh, Angels of Silence (1988), both of which were nominated for the Governor General's Award for Poetry. In 1991, she and Patrick Lane moved to Victoria so she could accept a teaching post at the University of Victoria's Creative Writing Department, where they both taught for many years. They have co-edited a non-fiction anthology Addicted: Notes From the Belly of the Beast (Greystone, 2002). For The Wrong Cat (M&S 2016), Crozier received both the Pat Lowther Memorial Award and the Raymond Souster award for best book of poetry by a League of Canadian Poets member. It was described as vintage Crozier with "razor sharp observations and keenly-felt emotions." She relates a man's fear that his wife no longer loves him, a mother's last breath and animals that find humans wanting. Her illustrated board books for infants include Lots of Kisses (Orca) and So Many Babies (Orca). In 2015, Crozier produced an unlikely bestseller that mixed poetry and photography to heighten environmental awareness, The Wild in You: Voices from the Forest and the Sea (Greystone), with photography by Ian McAllister. Inside is the Sky (Thistledown Press, 1976). As Lorna Uher. Crow's Black Joy (NeWest Press, 1978). 0 920316-16-2 As Lorna Uher. No Longer Two People (1979). With Patrick Lane. As Lorna Uher. Humans and Other Beasts (Turnstone Press, 1980). As Lorna Uher. The Weather (Coteau Books / Thunder Creek Publishing Co-operative, 1981). Inventing the Hawk (McClelland and Stewart, 1992). The Transparency of Grief: 5 New Poems (Mother Tongue Press, 1996). Bones in their Wings (Hagios Press, 2003). Catherine Hunter, editor. Before the First Word: The Poetry of Lorna Crozier (Wilfrid Laurier University Press, 2006). One of the first public events for Christina de Castell, new chief librarian of the Vancouver Public Library, was to unveil a plaque of B.C. marble to be added to the VPL's Woodcock Walk of Fame for Lorna Crozier (right), a beloved poet and writing instructor who is this year's recipient of the 25th George Woodcock Lifetime Achievement Award. For more than four decades Crozier has made herself widely known across the country as a poet and played a significant role in the mentoring of younger writers. In 1991, she and her life partner, Patrick Lane, moved to Victoria so she could teach at the University of Victoria's Department of Writing. "It doesn't seem that many years ago that I was the youngest poet on the stage at literary festivals, now I am the oldest. Seventy seems a good time to look back and evaluate how I've spent, some might say how I've wasted, my life. I can honestly claim that since my mid-twenties, a day hasn't gone by when I haven't been in the company of poetry. It helps that my husband of 40 years is also a poet, many say Canada's finest, but I can't blame him for my obsession. I was on this esoteric path before we met, and in fact, it was poetry that introduced us. But I have to wonder, with some amusement, why I chose an art form that most people find arcane, possibly elitist. "I come, after all, from a family of very ordinary, hard-working Saskatchewan people. My mother cleaned houses and sold tickets at the swimming pool. My father drove a back-hoe and was laid off during the winter when the ground froze. When that happened, my parents worried about paying the rent. Our house had only three books, a bible, one volume of a set of The Book of Knowledge and a Zane Gray novel the mice had chewed. That library expanded after I'd left home and started getting published. Lorna Crozier will be appearing at the Whistler Writers Festival in October. Crozier has written and edited twenty-five books while receiving a Lieutenant Governor's Award for Literary Excellence; a Hubert Evans Non-Fiction Prize for Small Beneath the Sky: A Prairie Memoir (2010) and the Dorothy Livesay Poetry Prize for What the Living Won't Let Go (2000); plus two Pat Lowther Awards for best collection of poetry by a Canadian woman; a Governor General's Award for Inventing the Hawk (1992) and a Canadian Authors Association Award. Administered by Pacific BookWorld News Society, the $5,000 Woodcock Award is co-supported by Yosef Wosk, The Writers Trust of Canada, The City of Vancouver and VPL. Edited by Lorna Crozier and Patrick Lane, the ten essays in Addicted also expose some of the other private addictions from within Canada's writing community-compulsive candy eating (Evelyn Lau) to morphine (Stephen Reid) to smoking (Peter Gzowski)-but mostly it's demon alcohol that's the problem. Patterns of abuse, self-destruction and procrastination for these ten writers are exposed, but they're also intent upon exploring why the condition of 'creating' seems to so often lead to drug and alcohol abuse. For starters, the bohemian lifestyle practically requires a little dabbling in pot or wine. After fulfilling her osculatory ambition at the 16th annual B.C. Book Prizes gala, Crozier recalled arriving from Saskatoon nine years ago and noticing how often she was described as a prairie poet. "Margaret Atwood is never called an Ontario poet,"; she said. Linda Watson of the B.C. Teachers' Federation presented the award. Noting the presence of bill bissett and the absence of Al Purdy, Crozier emphasized the importance of community in the B.C. literary scene. A volume of poignant recollections by one of Canada's most celebrated poets, Small Beneath the Sky is a tender, unsparing portrait of a family and a place. Lorna Crozier vividly depicts her hometown of Swift Current, with its one main street, two high schools, and three beer parlors - where her father spent most of his evenings. She writes unflinchingly about the grief and shame caused by poverty and alcoholism. At the heart of the book is the author's fierce love for her mother, Peggy. The narratives of daily life - sometimes funny, sometimes heartbreaking - are interspersed with prose poems. 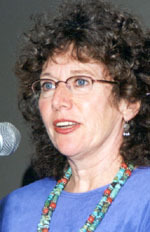 Lorna Crozier has authored fourteen books of poetry since the launch of first collection, Inside in the Sky, in 1976. Her collection, What the Living Won't Let Go, won the 2000 Dorothy Livesay Poetry Prize. She lives in North Saanich and serves as Chair in the Writing Department at the University of Victoria. Poet Lorna Crozier and children's author Sarah Ellis have been selected as winners of the 10th annual Lieutenant Governor's Award for Literary Excellence. Among many other awards and honours, Crozier is a past winner of the Governor General's Literary Award, was named an Officer of the Order of Canada in 2011 and was recognized as a Fellow of the Royal Society of Canada in 2009. Her latest book of poetry, The Book of Marvels: A Compendium of Everyday Things, was named as one of The Globe's Top 100 Books of 2012 and was nominated for this year's Pat Lowther Award for the best book of poetry by a Canadian woman. 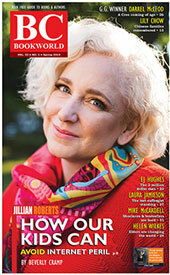 Ellis is one of the most illustrious and admired writers for children in Canada. A librarian, book reviewer, and sought-after lecturer on Canadian children's books, her previous awards and recognition include the 1991 Governor General's Award for children's literature, the 2007 TD Canadian Children's Literature Award, and this year was one of two Canadian nominees for the international book prize, The Astrid Lindgren Memorial Award. Crozier and Ellis will share the $5,000 prize, which will be presented by Lieutenant Governor Juidith Guichon on May 4 in a ceremony in Victoria. The award, established in 2003, recognizes BC writers who have made major contributions to the development of literary excellence in the Province. Winners were selected by a jury comprised of Brian Brett, author and 2012 award recipient; Lynn Copeland, former Dean of Library Services at Simon Fraser University; and Alma Lee, founder of the Vancouver International Writers and Readers Festival.